● The store features free shipping within the contiguous US and Canada for orders over $50. For other orders, fees are computed upon checkout. 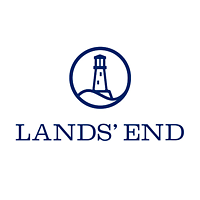 ● Lands’ End has an unconditional return policy. If at any point in time you become dissatisfied with a purchase, you can return it for an exchange or refund with no restrictions. ● Sign up for the Lands’ End email newsletter in order to receive updates on new discounts and offers. You can even enjoy incentives which have previously included 25% off any regular-priced item and free shipping if your order breaches $50. ● If you shop frequently at Lands’ End, you may consider signing up for the Shop Your Way rewards program. Earn points for every dollar you spend, then spend your accumulated points on various store items. Shop Your Way points can also be accumulated and applied at other participating retailers such as Kmart and Sears. ● Seasonal promos, as advertised on the homepage, can slash up to 30% off your order. These are activated using discount codes. Lands End is a clothing retailer that has clothes for both casual and professional purposes. At the very top of their home page you can buy gift cards, find a store in your immediate location, and take a look at their business outfitters. Their general product categories include: women, men, kids, outerwear, shoes, home, uniforms, and more. Shoppers that are on a budget are able to take a look at the sale page to find a variety of discounts along with any sales advertised on the home page such as getting 50% off of a regularly priced item. If you need fashion inspiration, take a look at their stylist's picks page. For most up to date offers check out Lands’ End on Facebook and Twitter or contact Lands’ End Support for any questions.